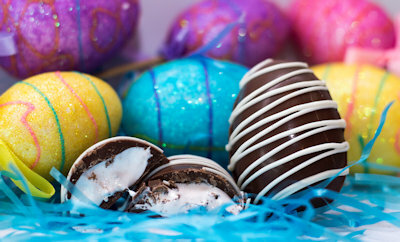 A fresh take on classic Easter treats! This enormous hollow bunny is crafted with our gourmet chocolate. Why is it hollow? Because it's filled with jelly beans of course! 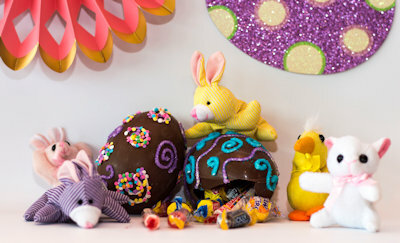 These beautifully decorated eggs come with a fun surprise - they're filled with candy! Get the best of both worlds with this treat and give the kids a delicious surprise! Our marshmallow fluff makes for the perfect filling in our hand-made eggs! A store favorite with an Easter spin! 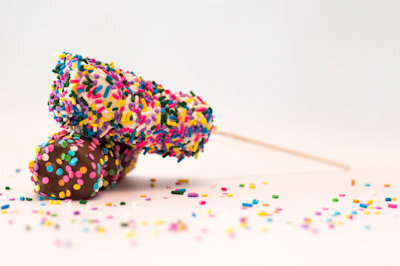 Our marshmallow pops - covered in our homemade chocolate - are now decorated with the vibrant colors only spring can bring! Available in both milk and white chocolate. 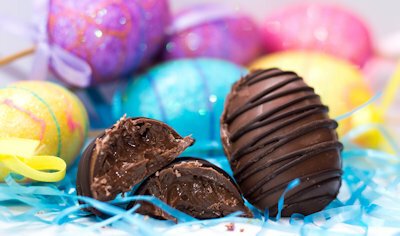 Nutella makes for the perfect filling in our hand-made eggs! 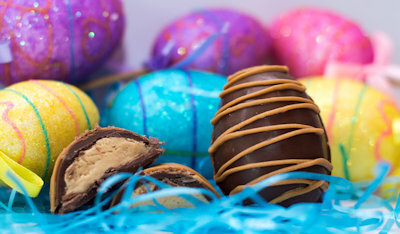 Our homemade peanut butter makes for the perfect filling in our hand-made eggs! Our homemade maple blend makes for the perfect filling in our hand-made eggs! A spin on an old classic - chocolate covered twinkies! 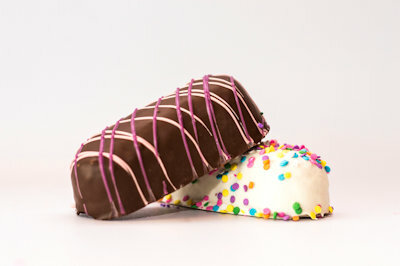 Dipped in our homemade chocolate, twinkies are available in both white and milk chocolate. Also decide between sprinkle or chocolate drizzle topping, or both! 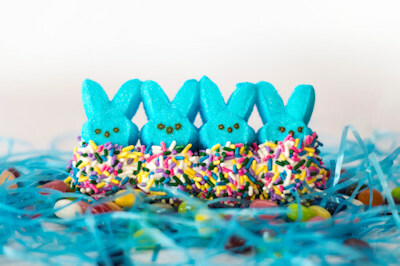 This Easter classic is dipped in our delicious white chocolate and decorated with festive sprinkles! Available in Pink or Blue Bunnies. 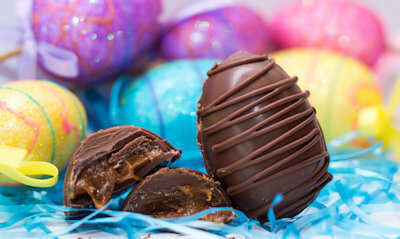 Our homemade caramel makes for the perfect filled in our hand-made filled eggs! 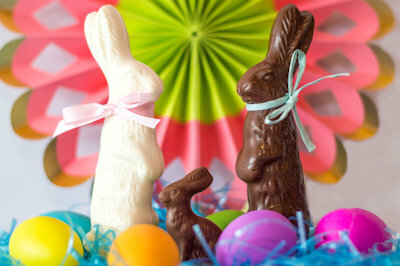 Our solid chocolate bunnies will add a sweet treat to any basket this holiday! 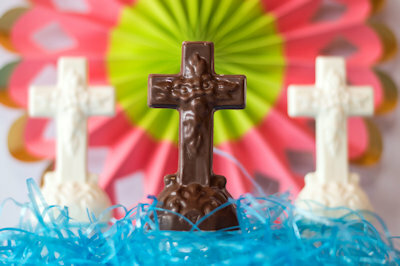 Send some Easter joy this Spring with our solid chocolate crosses. 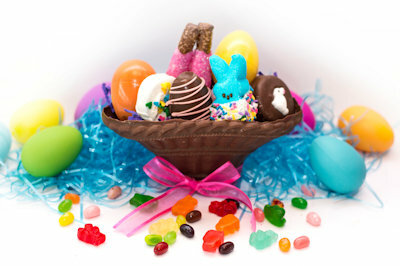 Fill up a milk chocolate basket with other Sweet Shoppe goodies to make a wonderful Easter gift! 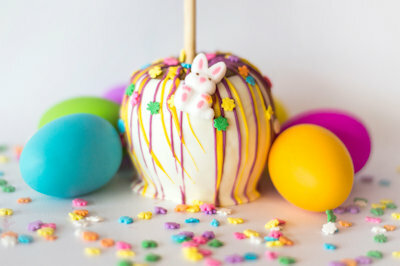 One of our signature gourmet caramel apples is decorated for Easter! 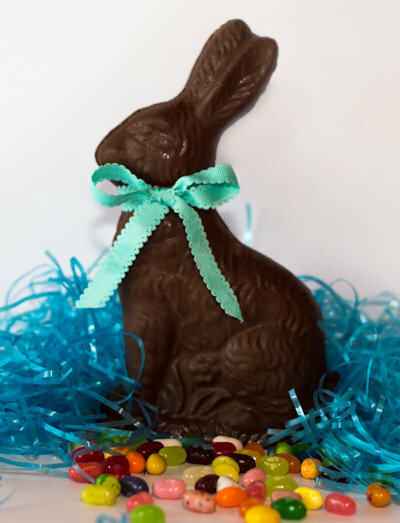 First dipped in our homemade caramel, then topped with white and colored chocolate, this tasty treat is topped with a bunny!" 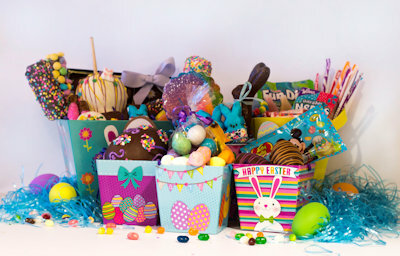 We have a wide variety of baskets to chose from this Easter! 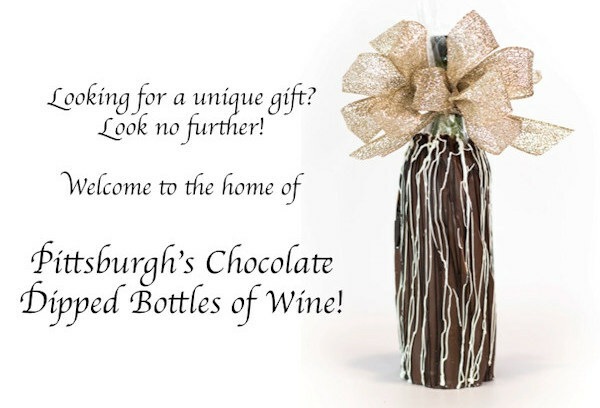 You can also create your own basket with us in the shoppe!